Ice Chips candies, while healthy, sugar-free, and safe for diabetics, are nothing like healthful candy you have tried in the past. They burst with flavor and grab your attention. Healthy has never been as much fun as it is with "The Good for You Candy..." Enjoy Ice Chips throughout your day to keep breath fresh, and teeth healthier! Allow Ice Chips to dissolve slowly in mouth, coating teeth. Dentists recommend four to eight servings a day to receive full oral health benefits of Xylitol. View More In Hard Candy & Lollipops. 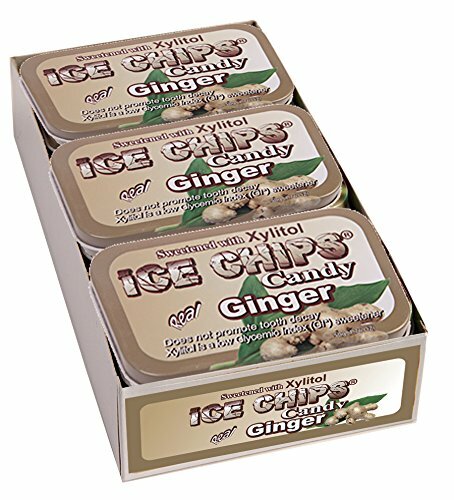 If you have any questions about this product by ICE CHIPS, contact us by completing and submitting the form below. If you are looking for a specif part number, please include it with your message.